In Nova Scotia’s Department of Labour and Advanced Education, the labour market information team reports to the Associate Deputy Minister. This section provides information on Nova Scotia’s labour market trends, including employment, unemployment, wages, regions, industries, labour productivity and demographics. Ms. Barbrick holds a Bachelor of Science degree from St. Francis Xavier University, a Diploma in Environmental Technology from Holland College, and a Masters in Public Administration from Dalhousie University. 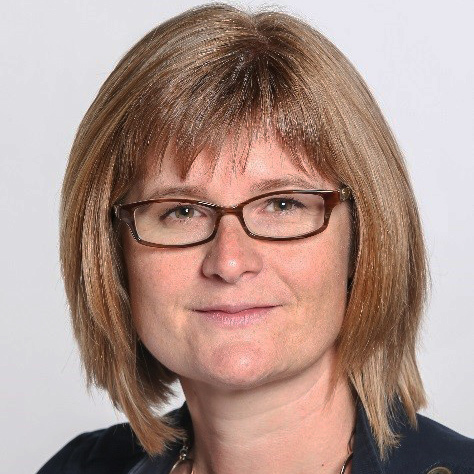 Prior to joining the Nova Scotia provincial government, Ms. Barbrick spent time in both the private sector and municipal government, in settings with a high focus on quality improvement. These included a pharmaceutical and biotechnology development company, the high-performance environment of aircraft manufacturing and the environmental management of solid waste and wastewater facilities. Ms. Barbrick’s government career began in 2001 at Nova Scotia Environment, where she led a monitoring and compliance team and was a leader in the development of environmental policy. In 2010, she joined the Department of Health and Wellness, where she provided leadership in the areas of legislative policy, intergovernmental affairs and project management. In 2017, Tracey joined the Department of Labour and Advanced Education where she has the opportunity to support a vibrant workforce. Ms. Barbrick believes that, by working together, communities, business and government can continue to grow a prosperous Nova Scotia.